Happy New Year! January 1st 2018 is today. It's Monday, a beginning of a new week, a fresh month, and a whole new year. If you are wanting to start taking action on your personal goals, overall well-being, and become a better version of yourself, I don't think you can possibly find a better time than right now. Instead of the common mindset of restriction and cutting things out of your life as things you must sacrifice to achieve your goals, let's focus on a few powerful ideas you can add to your plan of attack to gain positive momentum as you jumpstart your new year! 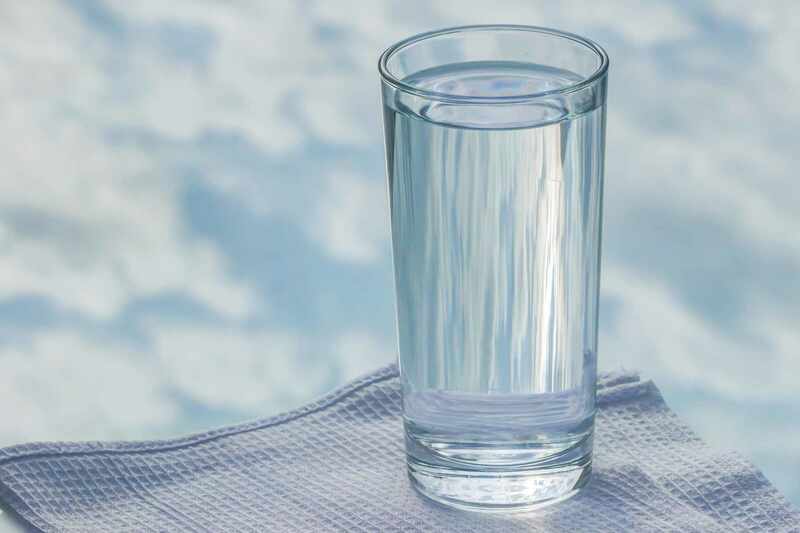 Water may be the most underrated nutrient, especially when it comes to overall health. According to H.H. Mitchell, Journal of Biological Chemistry 158, up to 60% of the human adult body is water. The brain and heart are composed of 73% water, and the lungs are about 83% water. The skin contains 64% water, muscles and kidneys are 79%, and even the bones are 31% of water. You could say water is kind of a big deal for us. So it makes sense that we must fuel our body appropriately to function optimally. If you're dehydrated, your mood, energy, workouts and results will suffer. So yes, staying well hydrated is very important, and can absolutely have a major impact on your health and wellness goals this year! A general rule for exercise is to consume 16-20 ounces of water before your workout, sip on water during, and consume another 16-20 ounces after your workout. A daily water goal to shoot for is about half your body weight in ounces of water. For example, a 200 pound person would aim to consume 100 ounces of water each day. Drink up, and cheers to a new year! A new year won't change much if you're still in love with your comfort zone. And a comfort zone is a beautiful place to be, but nothing ever grows there. If you're ready to level up your results, adding another workout to your week may be just the extra push you need! I don't think I need to go over all of the benefits exercise can do for your health, we'd be here all day. But if you're looking for new ways to spice up your workouts and keep them fresh and fun, we've got you covered with our endless options such as group training, basics classes, drop-in classes, yoga, Pilates reformer, and more. This would also be a great opportunity to try one of our many programs (Achieve Results, Boot Camp, Powerful Women, Swim Lessons, SMART Program, Revive & Thrive, Why Not Tri, etc.) or Workshops to give you the structure and accountability you need to stay on track this year. 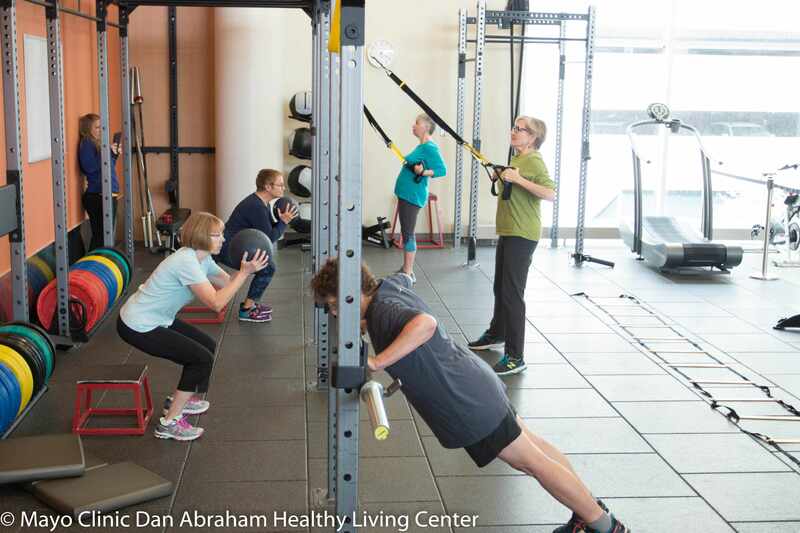 Exercise offers incredible benefits that can positively improve nearly every aspect of your health from the inside out. Whether you exercise one, two, three or more days per week, an additional workout will keep you on the edge of your comfort zone and just the right amount of challenge to see progress and results this year. Now that we've tackled our nutritional and physical health, let's dive into our psychological health which is just as, if not more important. Because gratitude is the best attitude! 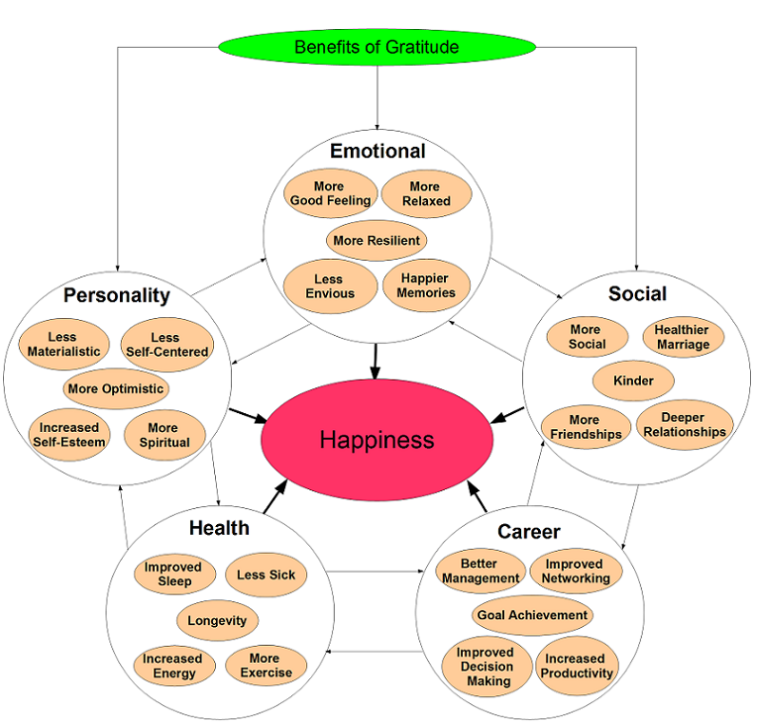 So what is "gratitude" exactly? Gratitude is an emotion similar to appreciation that most people are familiar with. To learn more, this graphic was found here. Write a letter. Simply carving out just 15 minutes each week to write a letter of gratitude to a friend or family member can significantly improve happiness, satisfaction and well-being. Journal about it. Research has shown that those who wrote a few lines each week about recent occurrences that made them feel grateful tended to feel more optimistic and positive about their lives. If the old school pen & paper isn't your jam, there are many Smartphone apps available for this practice. Join our class. 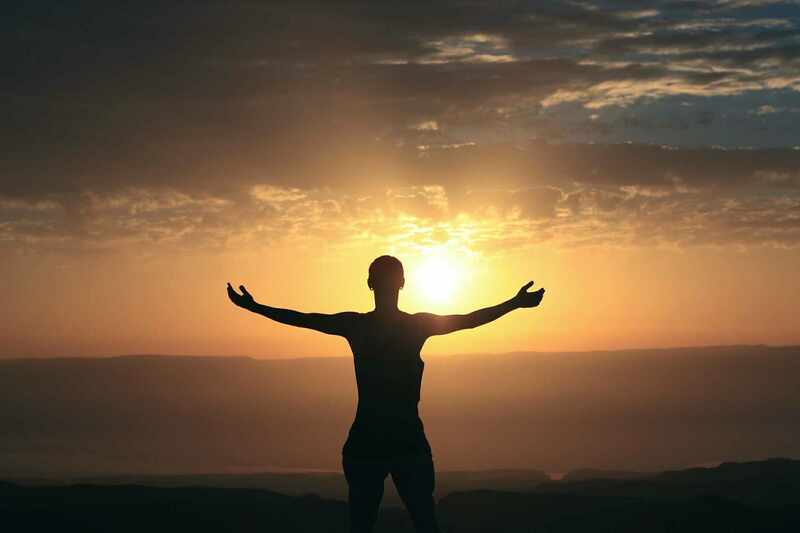 Our Gratitude Adjustment Series discusses how gratitude impacts all areas of our well-being. This two-session series will include time for presentation, small and large group discussion and personal application. Check the website for our next offering. Take a moment to express your gratitude and be thankful for the amazing people, memories and gifts in your life. Practice gratitude daily, and you cannot lose. And there you have it. Three ideas to add this year to become the best version of you! If you found these ideas useful, feel free to share this article! We wish you nothing but happiness and success in 2018. Happy new year!